Half Past October: Win a Holy Snails Gift Card! 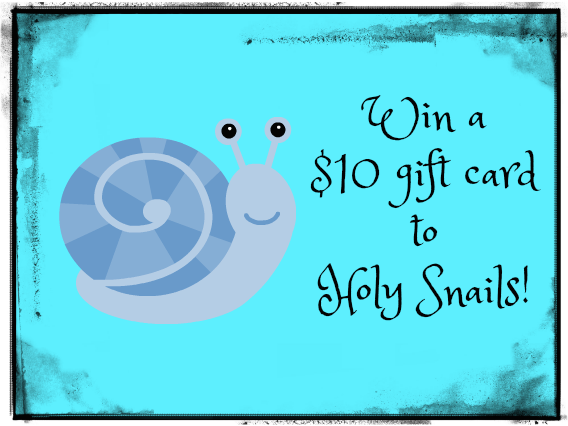 Win a Holy Snails Gift Card! It's been a long while since I've last held a blog giveaway. I've been wanting to hold one for a while but quite honestly I run out of ideas of what to pick that people might enjoy. Chel of Holy Snails makes a few of my favorite skincare items and quite conveniently offers gift cards, so I figured what better way to offer a little something back to my readers, than letting them choose their own prize! Holy Snails offers a small variety of skincare items - all handmade, rigorously tested, and formulated with professional knowledge of how specific ingredients work together and apart. I love a small handful of independent beauty creators, and all of them I love for this reason - they know what they're doing and they put their love and best work into each and every product they create. Holy Snail offers free US shipping on orders $49+ and free shipping on International orders $99+ - so this gift card is enough to get you on your way to a full order, or to purchase a sample size of something you may have been lusting over for a while now. It's completely your choice! This giveaway to open to anyone in the world Holy Snails can ship to. Holy Snails is not sponsoring or in any way associated with this giveaway - this giveaway is self-sponsored and funded. Giveaway ends November 23rd at 11:59pm cst. A winner will be drawn within 7 days, and will have 48 hours to respond to my email with a shipping address. 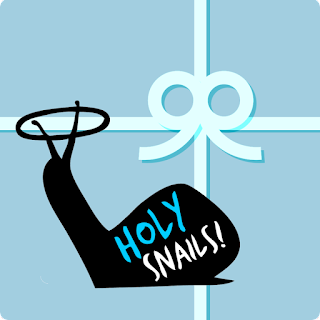 If you check out Holy Snails and decide to make a purchase, you can save 10% by using my referral link. This is awesome, Samantha! I love all of Chel's product, especially Snowbang and Honey Shark. What a nice gift this will make for someone. I too have really wanted to try shark sauce and a couple other items that sound great, thanks for the opportunity! I just found all this wonderful stuff! I'm eyeing so many products on Chel's site. Thank you!